This time, a novel that I have been holding myself off from putting here out of fear that it is too long – but on the occasion of publishing this site’s 100th post, it is only fitting that I make Aranyak (Of the Forest) the subject of this piece. 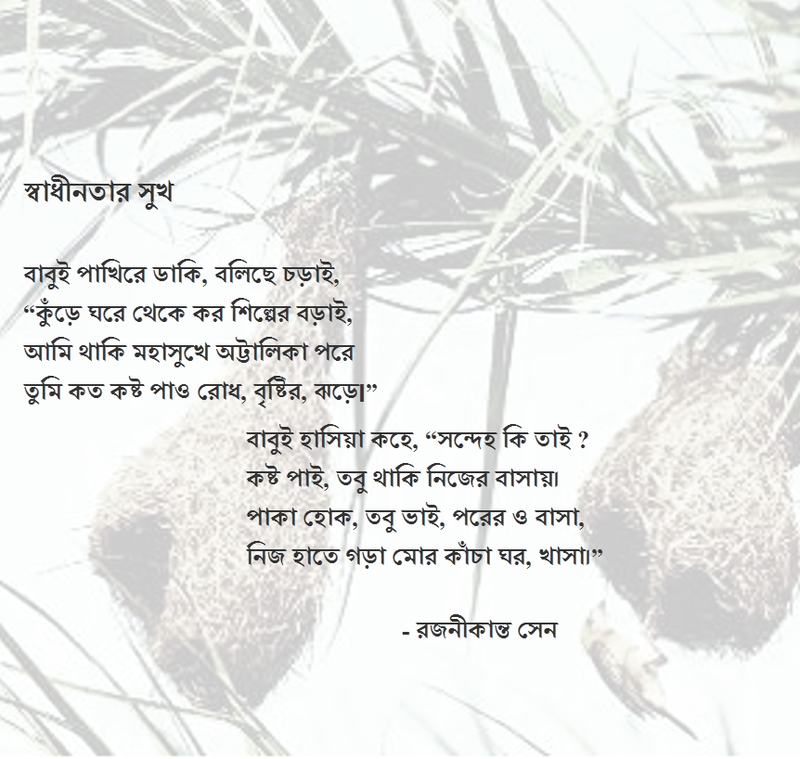 A masterclass written by Bibhutibhushan Bandyopadhyay, the story narrates the life of a Bangalee youth who assumes oversight of a forest estate in Bihar. A born urbanite, he suddenly has to confront Nature and a society where life is languid, and his experiences perhaps mirror that of the sophisticated reader: an initial incredulity that Nature (or a book about living in her midst) could be so beautiful and engrossing, followed by a complete immersion, and perhaps even infatuation, with her beauty. In its closeness to Nature, Aranyak ranks beside the best of Henry Thoreau’s or John Muir’s works, yet, in depicting the rustic lives of the simple folk who live surrounded by the forest, it achieves so much more. A story that seamlessly weaves Nature with human existence, Aranyak is a must-read for every Bangalee.